– The core gameplay: basically, the main direct actions that the player will be able to perform. Like jumping or selecting an item and choosing an action. – The level design: it’s about level building, the learning curve and the difficulty curve. – The meta gameplay: it’s everything else. Actually, it’s everything that uses core gameplay and level design to build a whole experience for the player. One other great example is Cookie Clicker (inspired from Candy Box). 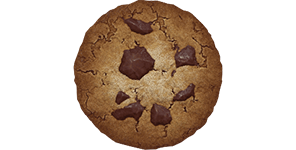 The goal is just to get cookies, but a lot of surrounding elements allow the player to get them differently.